This is a special event featuring Thembi from Imagine More who will be leading a 30 minute storytelling session all included in the ticket price! Thembi from Imagine More will be joining us for some story telling using movement and music and props of course! The story telling session will be 30 minutes long followed by an hour to play in Pop Up Play Village afterwards. 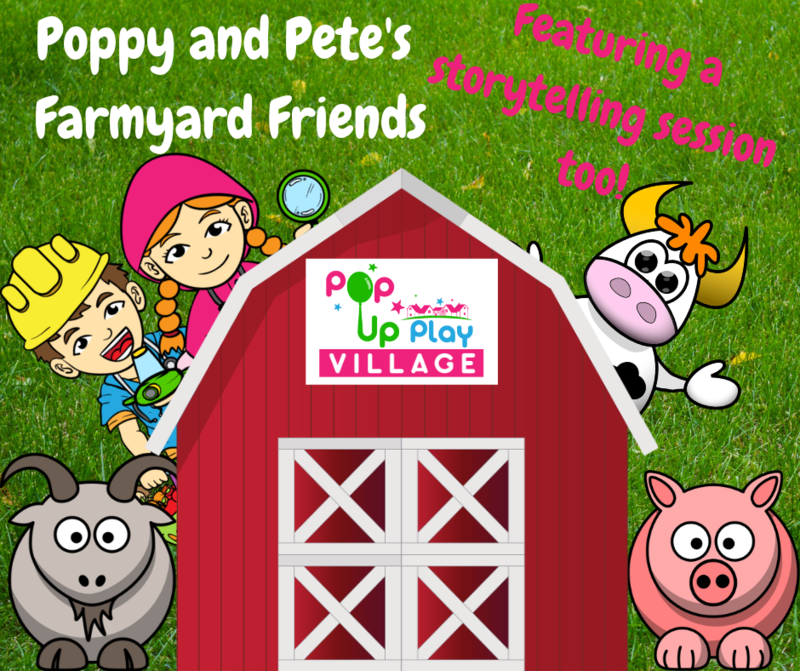 Come and join Poppy and Pete and their farmyard friends for a farm themed role play session. There will be a farm cafe to grab a snack, there will be a farm shop to pick up food to take home. As well as this there will be our vets where the cats and dogs need looking after and our library featuring farmyard tales. On top of this there will be our construction site challenge and a farm themed craft to make and take home. Adults and prewalkers are free with a child ticket!